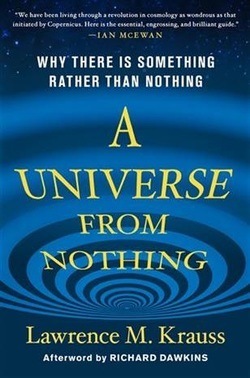 We are currently discussing the book “A Universe from Nothing: Why There Is Something Rather than Nothing" by Lawrence M. Krauss. We also deal with additional topics or questions that attendees might have. No advanced reading is required. Come and share your thoughts. If you can't attend, you can participate by signing up for our email list. You can read the thoughts of others and share your own ideas. We will also discuss other issues related to religious literacy. To sign up for the email list, to register, or for additional information contact David Ryan at d2mryan@verizon.net or 365-4027.